The Order of Ontario is the most prestigious official honour in the Canadian province of Ontario. 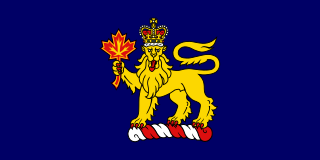 Instituted in 1986 by Lieutenant Governor Lincoln Alexander, on the advice of the Cabinet under Premier David Peterson, the civilian order is administered by the Lieutenant Governor-in-Council and is intended to honour current or former Ontario residents for conspicuous achievements in any field. Research comprises "creative and systematic work undertaken to increase the stock of knowledge, including knowledge of humans, culture and society, and the use of this stock of knowledge to devise new applications." It is used to establish or confirm facts, reaffirm the results of previous work, solve new or existing problems, support theorems, or develop new theories. A research project may also be an expansion on past work in the field. Research projects can be used to develop further knowledge on a topic, or in the example of a school research project, they can be used to further a student's research prowess to prepare them for future jobs or reports. To test the validity of instruments, procedures, or experiments, research may replicate elements of prior projects or the project as a whole. The primary purposes of basic research are documentation, discovery, interpretation, or the research and development (R&D) of methods and systems for the advancement of human knowledge. Approaches to research depend on epistemologies, which vary considerably both within and between humanities and sciences. There are several forms of research: scientific, humanities, artistic, economic, social, business, marketing, practitioner research, life, technological, etc. 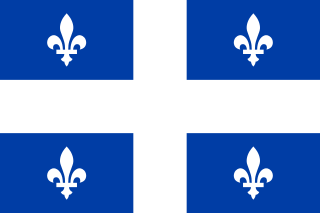 Sheenboro is a village and municipality in the Outaouais region, part of the Pontiac Regional County Municipality, Quebec, Canada. It was formerly known as Sheen-Esher-Aberdeen-et-Malakoff. Its territory stretches along the north shore of the Ottawa River from Chichester to Rapides-des-Joachims. A Bachelor of Science is an undergraduate academic degree awarded for completed courses that generally last three to five years, or a person holding such a degree. After a period of studying and teaching at Harvard University in Boston, he returned to Ottawa in 1969. Keon founded the University of Ottawa Heart Institute at the Ottawa Civic Hospital in 1976,  acting as its CEO for more than thirty years until his retirement from that job in April 2004. In 1986, he was the first Canadian to implant an artificial heart into a human as a bridge to transplant. Keon retired as a working doctor and resigned from the Ontario College of Physicians and Surgeons in June 2010. Harvard University is a private Ivy League research university in Cambridge, Massachusetts, with about 6,700 undergraduate students and about 15,250 postgraduate students. Established in 1636 and named for its first benefactor, clergyman John Harvard, Harvard is the United States' oldest institution of higher learning, and its history, influence, and wealth have made it one of the world's most prestigious universities. The University of Ottawa Heart Institute (UOHI) is Canada's largest cardiovascular health centre. It is located in Ottawa, Ontario, Canada. It began as a department in The Ottawa Hospital, and since has evolved into Canada's only complete cardiac centre, encompassing prevention, diagnosis, treatment, rehabilitation, research, and education. The Ottawa Hospital is a non-profit, public university teaching hospital in Ottawa, Ontario, Canada. The hospital is made up of the former Grace Hospital, Ottawa Riverside Hospital, Ottawa General Hospital and Ottawa Civic Hospital. It is a 1,117-bed academic health sciences centre affiliated with the University of Ottawa, and the University of Ottawa Heart Institute is located at the hospital's Civic Campus. The Ottawa Hospital is also one of two trauma centres in Eastern Ontario and southern Quebec. The other is Children's Hospital of Eastern Ontario accommodating juvenile and adolescent patients. The Governor General of Canada is the federal viceregal representative of the Canadian monarch, currently Queen Elizabeth II. The person of the sovereign is shared equally both with the 15 other Commonwealth realms and the 10 provinces of Canada, but resides predominantly in her oldest and most populous realm, the United Kingdom. The Queen, on the advice of her Canadian prime minister, appoints a governor general to carry out most of her constitutional and ceremonial duties. The commission is for an unfixed period of time—known as serving at Her Majesty's pleasure—though five years is the normal convention. Beginning in 1959, it has also been traditional to rotate between anglophone and francophone officeholders—although many recent governors general have been bilingual. Once in office, the governor general maintains direct contact with the Queen, wherever she may be at the time. Ramon John Hnatyshyn, commonly known as Ray Hnatyshyn, was a Canadian statesman who served as Governor General of Canada, the 24th since Canadian Confederation. The Prime Minister of Canada is the primary minister of the Crown, chairman of the Cabinet, and Canada's head of government. The current, and 23rd, Prime Minister of Canada is the Liberal Party's Justin Trudeau, following the 2015 Canadian federal election. Canadian prime ministers are styled as The Right Honourable, a privilege maintained for life. Chapeau is a village in the Canadian province of Quebec, located along the Culbute Channel of the Ottawa River in the municipality of L'Isle-aux-Allumettes in Pontiac Regional County Municipality. The Senate of Canada is the upper house of the Parliament of Canada, along with the House of Commons and the Monarch. The Senate is modelled after the British House of Lords and consists of 105 members appointed by the Governor General on the advice of the Prime Minister. Seats are assigned on a regional basis: four regions—defined as Ontario, Quebec, the Maritime provinces, and the Western provinces—each receive 24 seats, with the remaining portions of the country—Newfoundland and Labrador receiving 6 seats and the three northern territories each assigned the remaining one seat. Senators may serve until they reach the age of 75. Andrew Ernest Joseph Thompson was a Canadian politician. Thompson was leader of the Ontario Liberal Party and later served as a Senator. He was elected as the Member of Provincial Parliament (MPP) for the west-end Toronto Dovercourt electoral district in 1959. He was elected the Ontario Liberal Party's leader in 1964. His physical health began to fail in late 1966 forcing him to retire as the Liberal leader. He was appointed to the Canadian Senate in 1967, forcing him to resign his provincial seat in the Legislative Assembly of Ontario. He attracted media attention in 1997 and 1998 for making few appearances in the Senate over the past decade. His health issues never really went away, and gave that as his explanation for his truancy. He became the first Senator ever stripped of his office staff, salary and expense account for truancy, in 1998. A month later he resigned in order to receive his pension. Hugh Segal, is a Canadian political strategist, author, commentator, academic and former senator. He served as Chief of Staff to Ontario Premier Bill Davis and Canadian Prime Minister Brian Mulroney. Eugene Alfred Forsey, served in the Senate of Canada from 1970 to 1979. He was considered to be one of Canada's foremost constitutional experts. Marcel Prud'homme, was a member of the Senate of Canada and a member of parliament (MP) in the House of Commons of Canada. Napoléon Antoine Belcourt, was a Franco-Ontarian parliamentarian in Canada. Peter Michael Pitfield, was a former Canadian Senator and senior civil servant. Serge Joyal is a Canadian Senator. A lawyer by profession, Joyal served as vice-president of the Quebec wing of the Liberal Party of Canada. He was first elected to the House of Commons of Canada in the 1974 general election and remained a Liberal Member of Parliament for ten years. St. Patrick's High School, located in Ottawa, Ontario, Canada, is a Catholic high school publicly funded under the Ontario school system as part of the Ottawa Catholic School Board. It was founded in 1929 by the Missionary Oblates of Mary Immaculate. John Trevor Eyton, was a Canadian businessman, lawyer, and Senator. Henry Joseph Macaulay Barnett, was a Canadian physician, a leading stroke researcher and pioneer of the use of aspirin for stroke prevention. Charlie Watt is a former Canadian Senator. Landon Carter "Lucy" Pearson, is a Canadian former Canadian Senator and a children's rights advocate. She is the daughter-in-law of former Prime Minister Lester B. Pearson, through her marriage to his son Geoffrey Pearson. Paul David, was a Canadian cardiologist, founder of the Montreal Heart Institute, and Senator. Huguette Labelle is a Canadian retired civil servant and former Chancellor of the University of Ottawa, serving from 1994 until 2012. She has been the chair of the Independent Advisory Board for Senate Appointments since 2016. John Joseph Connolly, was a Canadian parliamentarian. Marilyn Trenholme Counsell, MD, ONB, OC, is a Canadian lecturer, doctor and politician. Counsell was a Canadian Senator and Lieutenant Governor of New Brunswick from 1997 to 2003. David Braley is the owner of the BC Lions and former owner of the Toronto Argonauts and Hamilton Tiger-Cats. On May 20, 2010, he was appointed to the Senate of Canada as a Conservative but resigned effective November 30, 2013 stating no official reason. 1 2 "Wilbert Keon". Carleton University. 1 2 3 "Senator Dr. Wilbert Keon". Canadian Medical Hall of Fame. ↑ "Board Member Biographies". Champlain Local Health Integration Network. ↑ "Achievements 'dwarf' doctor's humanity". Calgary Herald. May 11, 1986. p. 13. ↑ "Lions, Argos owner Braley tapped for Senate". CBC News. May 20, 2010. ↑ "Liberals: Ryan Keon". Ottawa Citizen. April 17, 2014. ↑ Buchanan, Carrie. "Senator Keon quits director's job at Heart Institute". OTTAWA CITIZEN. ↑ "Wilbert Joseph Keon". Order of Canada. Governor General of Canada. 1 2 "101st Convocation". Carleton University. June 18, 1994. ↑ April 8, Bruce Deachman Updated:; 2019 (2019-04-08). "Dr. Wilbert Keon: Former senator, heart institute founder dies at 83 | Ottawa Citizen" . Retrieved 2019-04-08.